(1) the role of larval transport, behaviour, and mortality in regulating benthic populations and communities in marine sediments and fishes. (2) how different forms of disturbance regulate patterns of biodiversity in marine sediments. (3) the role of biodiversity in the delivery of key ecosystem services in sediments. For those of you unfamiliar with Memorial University of Newfoundland (MUN), it's the only provincial university for the province of Newfoundland and Labrador. The campus is located in St. John's, the capital city of Newfoundland and Labrador . Pretty place but very windy, rainy and cold. But a great place to visit! Prior to returning to Memorial I spent 8 months as a Killam Postdoctoral fellow with Jon Grant in the Department of Oceanography at Dalhousie University . Dalhousie is located in Halifax, Nova Scotia, Canada. Prior to moving to Dalhousie , I spent 3 years in sunny New Jersey as a Postdoctoral Fellow with Fred Grassle. 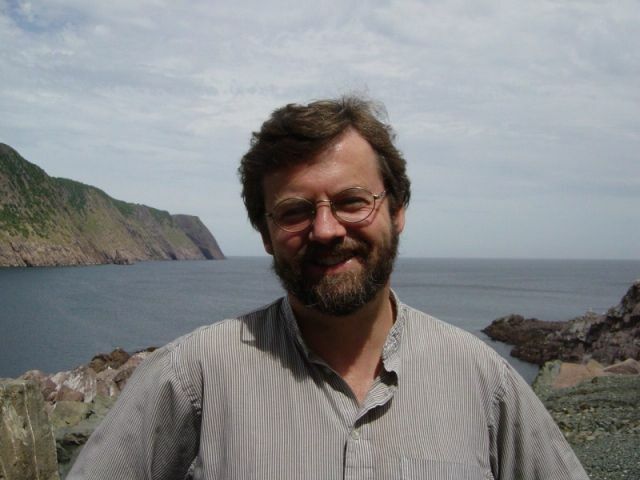 He is director of the Institute of Marine and Coastal Sciences, at Rutgers University in New Brunswick, New Jersey (not to be confused with the Canadian province!). Much of my research there was in collaboration with Fred, Judy Grassle and Rose Petrecca, and focussed on surfclam biology. I received my PhD in 1993 through the Biology Department at Woods Hole Oceanographic Institution, Woods Hole, Massachusetts where Cheryl Ann Butman (now Cheryl Ann Zimmer) was my major advisor. Nice place, Cape Cod. My thesis work was on hydrodynamic effects on larval settlement. I'm married to Michele DuRand, also a biological oceanographer with a PhD from the MIT/WHOI Joint Program. The picture on the left is our dogs Savory and Kacy. 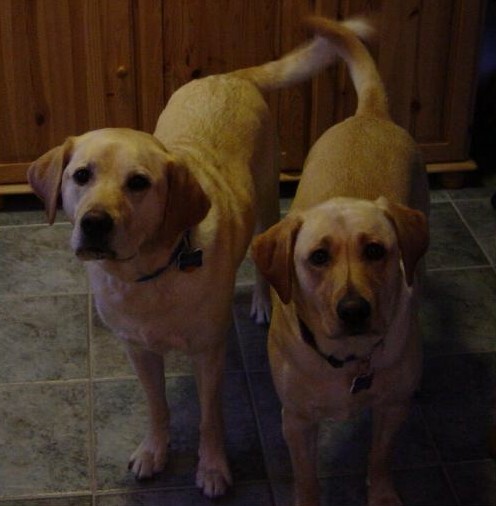 Our first dog Casey, pictured on the right was the best dog in the world, so we were sad to lose him in 2001 at 15.5 years of age. 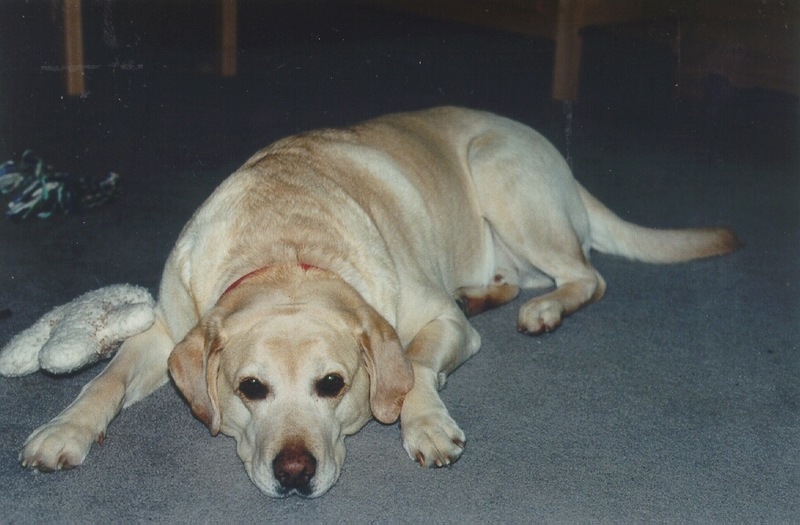 But Savory is a pretty good dog, too, and Kacy is…well… a work in progress, but very lovable. Both of them invite you to send steaks. Yes, they do have a home page.